Slowly, but surely, it came together. At first the blue was off, but a quick trip back to the paint store and a little adjustment gave me just the shade I wanted. I love it! When I am in there, or even walking by, my energy changes. What is that about? Do you think that color effects how we feel? According to Psychology 101 color can certainly affect our moods. Check out their article for a simple read on how your favorite color may be affecting yours. What color do you Mind FULLY gravitate towards? And have you changed a color in your home to change your mood? Let us know! Looks warm and calming! Of course color effects your mood! 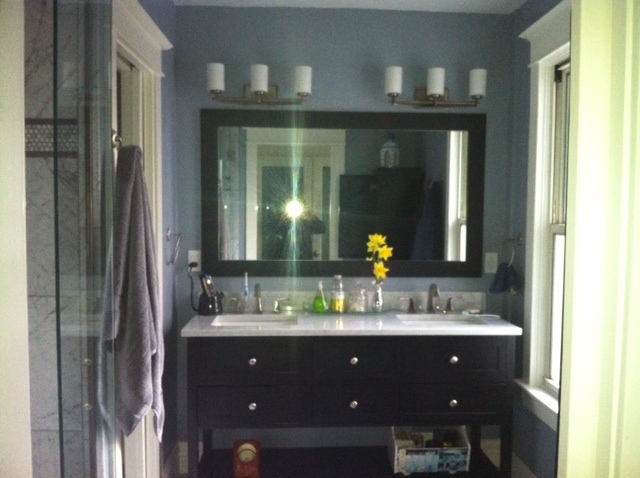 Love your bathroom and yes, color has such an influence on our psyche! I’m so glad you posted the follow-up! I was meaning to ask about this while I was there. 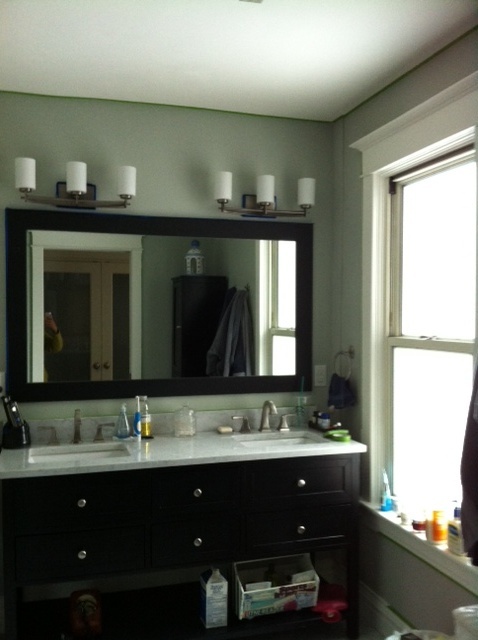 Darwin’s green room has always been my favorite room in our house, and I credit the green! I fell in love with deep, deep Pacific ocean blue while we were on our cruise. So blue, it’s almost black, I can’t wait to paint something that color. Probably only a closet.